IN August 1956, more than 20 000 women marched to the union buildings- all races and ages, protesting against pass laws. Their act of bravery opened a gap for all women in our country to know and believe that they can do anything when they act as a unity. Women everywhere in our country are leaving a mark and urging the next generation to step up. 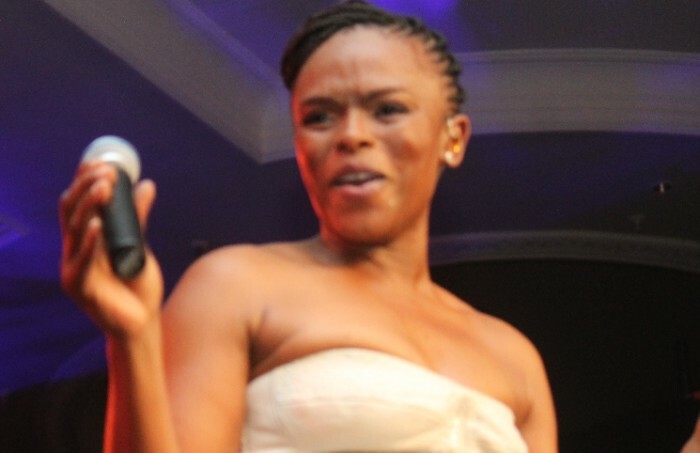 SHE’s bitter-sweet on the radio and on TV, Unathi Msengana has been in the entertainment industry for a very long time. She is one of South Africa’s most powerful and finest women with a balanced life and remains grounded. Msengana was born in the not so quiet City of Saints, Grahamstown and grew up in Namibia and Cardiff, United Kingdom. She is the second of four daughters. When I graduated from Rhodes University I moved to Johannesburg because there are little opportunities in the Eastern Cape when it comes to broadcasting. I managed to get a job presenting on a TV show on SABC 1 called Castle Loud. With my Journalism background I was also given a producer’s credit. I was then approached by YFM to join their team which I did for 6 years. I moved to Metro FM in 2007 and have been there since and I also work with Gareth Cliff and Randal Abrahams on South African Idols. I have since released three studio albums and am now enjoying the release of my very first DVD ‘An Intimate Night with Unathi’ and am currently co-owner of Lucky Bean Media through which we are currently producing Master Chef South Africa. It has its challenges daily. It is a very male dominated industry and women have to work very hard to even be considered as equals. I do however enjoy being the underdog because it means I never take things for granted and work very hard. My family is the reason why I do what I do. I am inspired to make them proud and to always strive to achieve new dreams. I’m very strict with my time so this allows me to plan my days, weeks, months and years. For me this is work and I know how to separate it, because when I get home I am a mother, a wife, a daughter. I still do all these humanly things that most people struggle with once they put themselves on a pedestal. I also love people; I don’t want to ever disrespect people by having airs and be unapproachable towards them. It’s changed my life its wonderful being able to speak to all of South Africa instead of a specific demographic. It’s amazing being part of letting South Africa decide who they want their next musical ambassador to be. It’s awesome to dress up like a girl twice a week, because I am a more boyish kind of a woman – the one that is referred to as tomboy. I love the fact that I get to experience the two things that the most in life being involved in music development and people at the same time. I love the auditions because I laugh all day everyday – because I get an opportunity to see people giving their all. My favorite moments were Mzomhle the guy who sang Careless Whisper, who literally made me laugh until I cried. Travelling the country with Idols is a huge privilege and honor for me as a person, it gives me an opportunity to interact with people more. I would like to contribute artistically and help raise scholarships for kids to go to school. We often down play the impact of education or the lack thereof and I want to contribute in assisting our future leaders in getting educated. WHAT DOES THE EASTERN CAPE MEAN TO YOU? It means my home, my place to hide when the world turns against me. My province is green and colourful with beautiful people different ethnic culture. The province has given the world many great musicians and I am proud to say that I am from the Eastern Cape. LOUD. WHAT ADVICE WOULD YOU GIVE TO YOUNG WOMEN IN THE EASTERN CAPE? It is only when we dream that we discover the joys of the world. Remember to dream and work towards those dreams.